If you have a loved one who has been injured in a nursing home, then you may have various legal claims to file in asserting your loved one’s legal rights. Your loved one has a right to receive proper medical treatment, care and protection in a nursing home facility. Legal claims may be asserted on behalf of your loved one for negligence, wrongful death, negligent hiring or supervision, an intentional tort, loss of consortium, or a third party responsibility claim. Medicare regularly inspects and surveys each Alabama nursing home to identify violations, deficiencies and follow up on complaints filed by family members, friends and concerned employees. According to the statistics maintained by the federal agency, fifty-five (24%) of the 228 nursing facilities rated in Alabama have fallen below the national average because the staff provides substandard care. If your loved one was injured or died unexpectedly while residing in an Alabama nursing facility, we encourage you to contact the Alabama nursing home abuse & neglect attorneys at the Nursing Home Law Center at (800) 926-7565 to discuss your claim for compensation during an initial free case consultation. Unfortunately, Alabama nursing homes have received public attention for the inadequate care provided in their nursing homes and deficiencies. There are about 24,885 nursing facilities in operation according to a 2008 University of California-San Francisco research study. This study showed that in 18 percent of all nursing homes in 2008, there was a deficiency in quality of life and housekeeping for residents. In addition, 18 percent of all nursing homes in Alabama had deficiencies in the urinary or incontinence care provided for residents. Over 33 percent of nursing homes had hazards in the environment that made residents more prone to accidents. In Alabama, several statutes govern nursing home claims. These statutes are Chapter 20 of Title 34 for Nursing Home Administrators, Chapter 34 of Title 34 for Assisted Living Administrators, and the Adult Protective Services Act. Nursing homes must also abide by the strict requirements under the federal Nursing Home Reform Act. The Nursing Home Reform Act provides for private causes of action in the event that a nursing home resident’s rights have been violated. These rights include the right to be free from physical or mental abuse, involuntary seclusion and any consumption of chemicals not related to the resident’s medical symptoms. Patients also have the right to receive respect in their care and treatment, but unfortunately, this right is often violated in negligence cases. 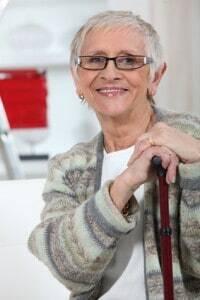 When a nursing home employee has deviated from meeting his or her standard of care, then a plaintiff may assert a claim of professional negligence against him or her. If a plaintiff brings a claim of negligence against nursing home professionals, then he or she must provide expert witness testimony to support these claims under the Alabama Medical Liability Act. A nursing home attorney can assist in building a case to show that a nursing home’s violation of care was likely to cause the injury or death of a nursing home resident. In Alabama, Section 38-9-7 of the Adult Protective Services Act makes it unlawful for any person to “abuse, neglect, exploit or emotionally abuse” any protected person. 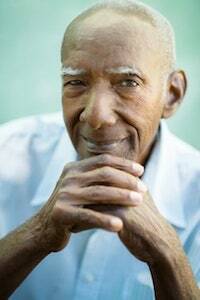 Protected persons are considered to be residents of nursing homes, mental institutions, developmental centers and other care facilities. A crime of emotional abuse is considered a misdemeanor, while all other crimes involving abuse, neglect and exploitation may be felonies. If your loved one has suffered from any of these types of abuse, then a nursing home injury lawyer can assist you in initiating a complaint against the appropriate person today. The Alabama Department of Human Resources will then investigate any report made that involves neglect, abuse, exploitation or other harm to protected adults in care facilities. To prevent the development of a bedsore, bedridden and wheelchair-bound patients need to be moved every two hours while kept clean and dry. If not, prolonged pressure to an area will create noticeable fluid-filled blisters and red spots in the first stages of a developing pressure sore. When left untreated, the skin can develop an infected open wound leading to serious life-threatening consequences. 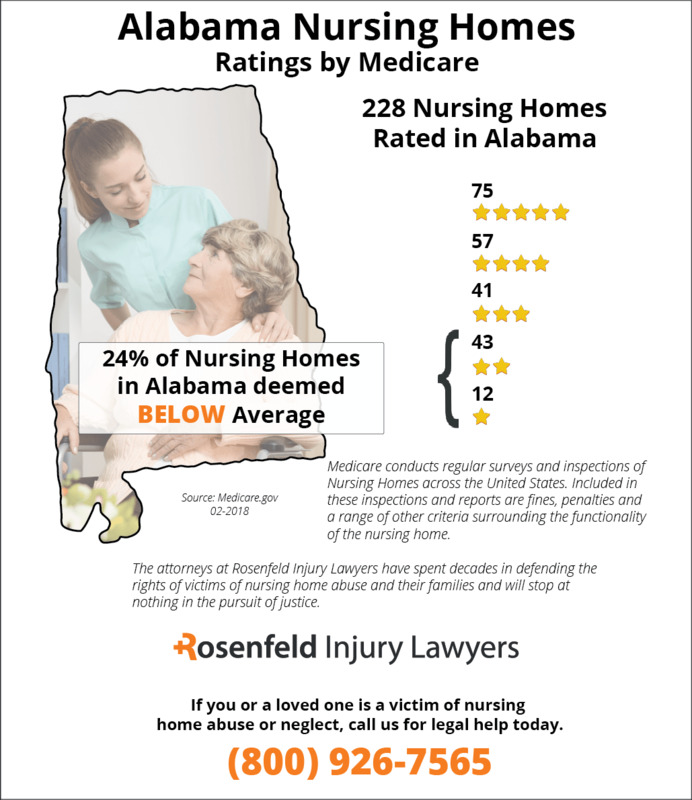 If you or a loved one developed a pressure sore in an Alabama nursing home or hospital we invite you to contact the Alabama bed sore attorneys at Nursing Home Law Center LLC for a free case review. Our attorneys have an unparalleled track record when it comes to prosecuting bed sore lawsuits. Contact our firm for a free review of your case today. A bedsore, also referred to as pressure sore, pressure ulcer or decubitus ulcer, can quickly develop on the skin when an individual remains in the same position for too long. This is because prolonged pressure to the area, especially on bony prominences like the ankles, hipbones, shoulder blades, and buttocks, can cause the skin to become red and tender from inflammation. Nursing home patients are most at risk for developing bedsores if the staff is negligent in providing the basic standard of care. It is the responsibility of the medical staff to ensure that the patient does not remain in bed or in a seated position for extended time without repeated repositioning or turning to relieve the pressure. This is because pressure to an area on the body restricts blood flow circulation, which stops necessary oxygen and nourishment from reaching skin tissue. Without relieving the pressure, the sore can begin to develop in as little as two hours. In some scenarios, nursing home patients have existing medical conditions and circulation problems making the development of bedsore inevitable. Even so, quality medical care by a knowledgeable staff providing adequate attention and appropriate treatment can prevent a developing sore (Stage I) from advancing to a serious condition. Severe advanced cases of bedsore developments are usually the result of inattention and negligence when nursing staff does not assist the patient lying in moisture from their own sweat, urine or feces. A Stage I or Stage II can quickly advance to Stage III or Stage IV where the wound becomes open exposing muscle and bone, making the sore susceptible to infection. When a family places a loved one in a nursing home, they expect the facility to provide quality care around-the-clock to ensure the patient’s health and well-being. In many incidences, the family is assured that loving and dedicated caregivers will continuously provide all necessities. Even with that assurance, bedsore developments in nursing facilities are an all too common occurrence. Unfortunately, in some facilities, nursing home administrators put profits ahead of providing quality care by providing only minimal staff. Because of the increasing demand for nursing home beds, many facilities are overcrowded and understaffed. The lack of quality caregivers often leads to neglect, by overworked nurses and nursing aides. Properly identify patients at risk for bedsore development when admitted to the facility. Provide proper padding and appropriate bedding to alleviate pressure on the patient’s skin. Follow a strict schedule to turn or reposition bedridden or wheelchair-bound patients at least one time every two hours. Debride or cut away dead tissue from the sore to stop it from advancing to a critical stage. The caregivers and management in nursing home facilities have an ethical and legal obligation to protect every patient in their care. If the staff fails in their duties, nursing home patients can suffer serious life-threatening bedsores. Contacting an aggressive advocate for your loved one is essential to protect their health, dignity and rights to quality health care. 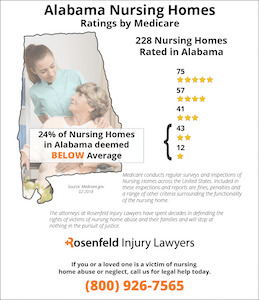 Skilled Alabama nursing home neglect law firms offer a free no obligation initial consultation to discuss facts and describe all available legal options to pursue a case and stop the neglect now.